I wanted to make it a little more masculine by choosing a darker color. 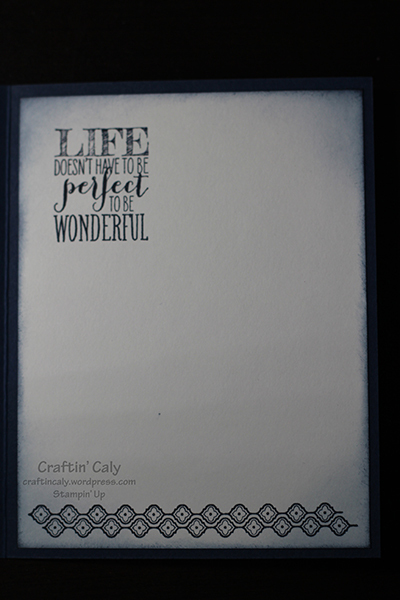 The cardstock and ink is in Night of Navy and the lighter blue color is Soft Sky. 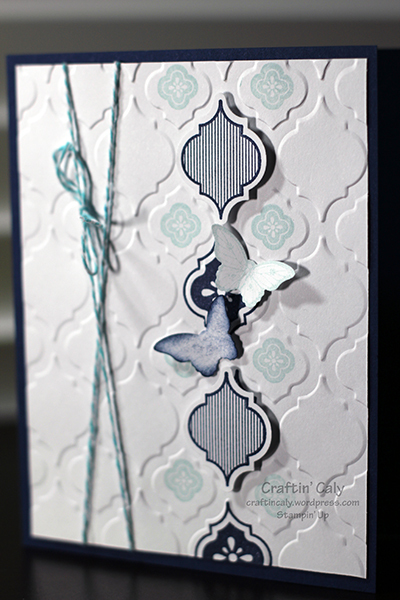 I embossed the white cardstock first, then tried to line up my image over the embossed areas as best I could. 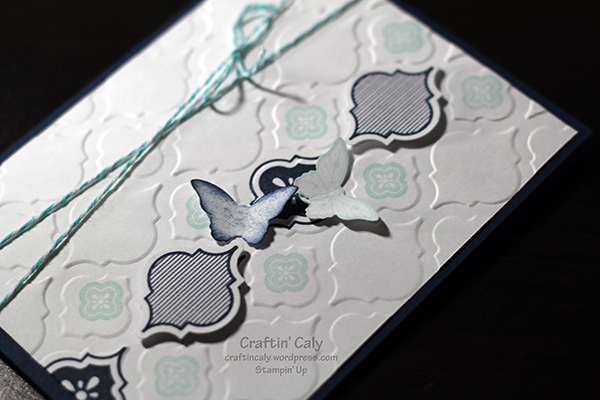 I also stamped some on white scraps and punched them out – along with some butterflies using the Bitty Butterfly punch after sponging the edges with some ink to give it more definition. There was a lot of space on the left side so I added some twine to finish off the card. The inside of the card is also sponged and stamped with stamps from the Mosaic Madness stamp set. I stamped a sentiment in one and saved the other for another occasion. I’ve seen some neat stuff made using this kit! It was fun using all the coordinating products.